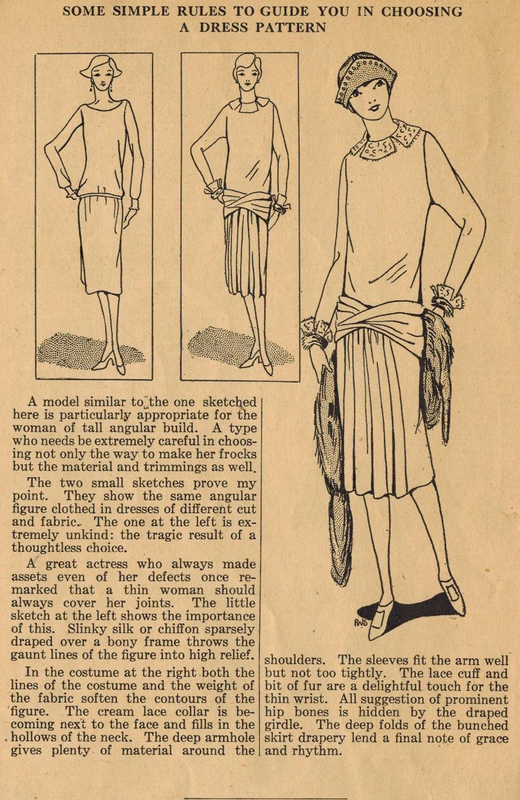 In an earlier post, Ruth Wyeth Spears tackled the challenges of a person with a full figure when wearing the new slim lines. In this post, Ruth addresses the tall, thin figure, a type that also needs careful dressing choices. I wouldn't have thought it necessary, but as usual, Ruth makes her points clearly! The bottom line? Avoid the "gaunt" look by softening the joints and bones.